What's your favorite gift to receive? Red tray from Spain, bought at TJ Maxx as a Christmas present from my husband. Oval bowl from Guatemala (sadly cracked and only for looks now). Relish plate from Ecuador bought with money given my by a ladies' conference. Would it surprise you to know that I told my husband I'd rather get a gift of pretty dishes than diamond earrings? 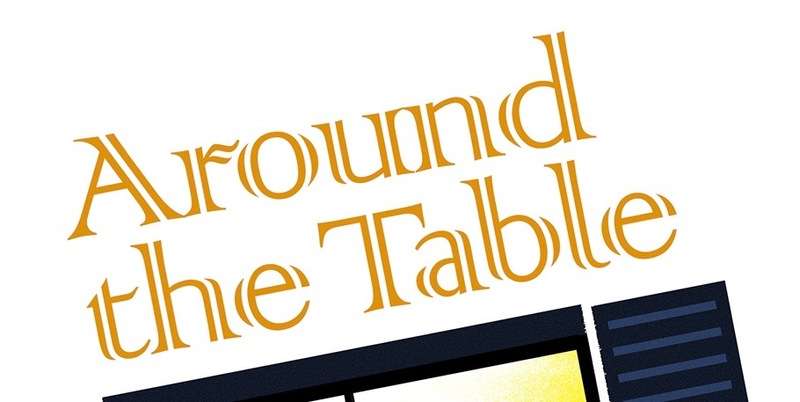 You probably know me as only the "Around-the-Table-Lady," so that makes perfect sense to you. But there are a lot of other dimensions to my life like clothes, dieting, reading, travel, serving God, and, yes, chocolate and jewelry. I even use them as decorations. Top shelf oval bowl from Tunisia, but bought at TJ Maxx. Yellow bowl bought in Serbia, but made in Bulgaria. Bottom shelf fruit bowl from Ecuador. But if I had to choose between never getting another pair of earrings and never picking out another unique bowl or plate when God allows us to visit some distant land for our ministry work, well, I'd choose no jewelry. I have all kinds of serving bowls and dishes that have come from many countries and I love choosing just the right one for various side dishes and remembering where they came from or who gave them to me. But you know, I didn't realize how much my family and guests enjoyed them all too. Blue floral bowl on left bought in the Grand Bazaar, Istanbul, Turkey. Off white bowl from Colombia. Blue bowl on right from Mexico. When we came back to the states after twenty-four years in South America, I didn't bring any dishes with me. The cheap "china" we had used for over two decades had survived two international moves, being pulled of the counter by a two year old, and at least weekly use and hand washing (no dishwashers) by my children. A friend asked me for them so she could have 12 matching place settings, so they stayed at her house. My white every day dishes matched every tablecloth or placemat and occasion, but they weren't very sturdy and chipped easily. Still, someone else wanted them, so they went off to another house. I was wondering what kind of dishes I would choose, but I didn't get a chance. I had two sets of (used) dishes given to me. My mother-in-law had 18 place settings of her wedding present Franciscan Dessert Rose dishes and offered me 12 as she wasn't able to have large groups over any more. My daughter-in-law had been given a set of (used) blue and white Johnson Brothers Coaching Scene dishes which which didn't suit their style, so she gave them to me as well. I was given a couple of gifts of money for Christmas and those dishes were on sale. But I realized that to have six place settings would still cost $120. I just couldn't justify that. So I put my money in my "happy money" account to see what else I might like to buy later. Then one day I walked into the Dollar Tree, yes, the dollar store, and they had a bright and beautiful display of dishes! I studied those dishes for several minutes and then went to get a shopping cart. I realized I could buy eight plates, eight bowls, and eight matching placemats and only spend $24 plus tax! I wondered what everyone would say. My husband loved them. He thought they were so "happy." My daughter got excited and asked where they came from. Our guests the next night exclaimed about how cheery the table and food looked on those bright plates! So, what kind of dishes do you have? Get out your nice ones and surprise your family. Or visit the local dollar store and do something bold and new. It might surprise your family and it might surprise you! If it makes you happy, it will inspire you to get your family together more often for family meals! For another idea on fun dishes read here. Love the new dishes! You should get me some! I think they'd be rather heavy for your suitcase back to Germany! I love all your bright colored dishes and you table cloth! I have a thing for table clothes -- they just brighten the room! Just stopping by from the GRAND Social. Hope you get a chance to do the same! I have way more tablecoths than I need, but I love going and choosing what I will have on my table between meals or at meals! I would choose pretty dishes over diamond earrings too. Of your list of choices above, it's a toss up between restaurant gift card or chocolates - don't get either one all that often and it would be a real treat (and all the sweeter because I'd promise to share)! Stopping by from the GRAND Social link party! Who Said Dinner Has to be at Six?